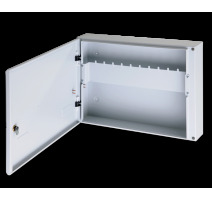 Protocol/compatibility Compatible with C-TEC's XFP/ZFP XP95/Discovery Addressable Fire Panels. 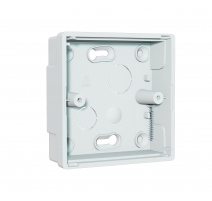 To communicate with the host fire panel, the XFP508X requires 2 addresses, one so it can be recognised as a Zone Monitor, another as a Sounder Control Unit. Power requirements 22-40V DC (derived from the host panel's Apollo XP95/Discovery addressable loop). No. of detector zone circuits 1. Max. detector circuit length 100m. Call point resistor value Manual call points must be fitted with a 330Ω resistor in order to immediately trigger the host panel on operation. 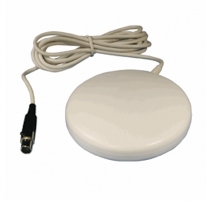 Note one 330Ω resistor is supplied in the Hush Button's accessory pack. Max. devices per detector zone 10 (any mix of detectors and manual call points). No. of conventional sounder circuits 1. Max. sounder circuit length 100m. Alarm current 30mA, 20mA or 12.5mA (selectable via PLK2 output selector link). Max. 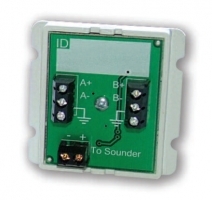 sounder output current 30mA. Indicators ‘Supply present’ LED; ‘Local alarm’ LED; ‘Hushed’ LED (Lit steady when in the Hushed state, flashes during the last 15 seconds of any Hushed period); 'Fault' LED. Also includes a beeper that sounds during the last 15 seconds of any Hushed period. 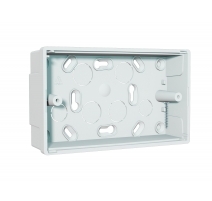 Product dimensions (mm) 146 W x 85 H x 21 D mm (Can be mounted on a standard UK 25mm double gang flush or surface back box). Construction & finish Supplied on a double gang plastic plate. 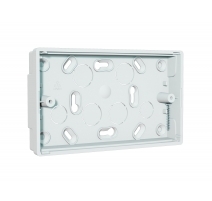 Product dimensions: 144 W x 84 H x 37 D mm. 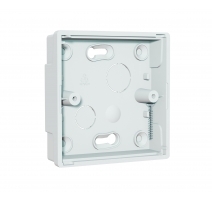 Fits on a standard UK 25mm flush or surface double gang mount back box. 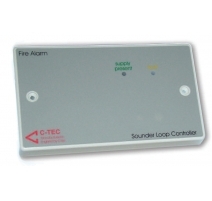 C-TEC's Hush Button was specifically designed to reduce the incidence of false alarms in houses of multiple occupation by providing reliable, fully monitored fire detection, alarm and silencing facilities INSIDE each individual flat or apartment. It can be looked upon as a miniature loop-powered single zone fire alarm controller that sits and is addressed on an XP95, Discovery or Xplorer analogue loop (see schematic above) with the ability to communicate its status back to the host panel. 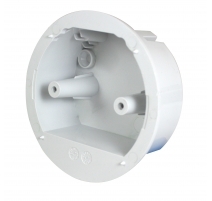 Typically one Hush Button is fitted in each dwelling complete with conventional detectors and conventional sounders to provide occupants with a simple means of invoking two types of ‘hushed’ period - see Hush Button Operation section below. 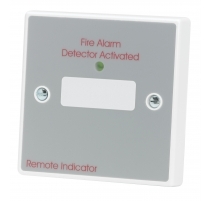 By providing occupants with this level of control over their fire alarm systems, it helps reduce false alarms and prevent unnecessary building evacuations, system vandalism and the likelihood of a true alarm signal being ignored. 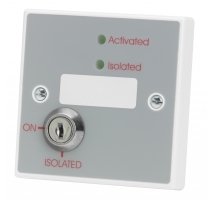 With no alarm conditions anywhere in the building, power is applied to the Hush Button’s detector circuit, its detector and sounder circuits are continually monitored for faults, and its Supply Present LED is lit. 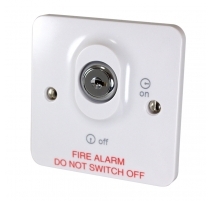 In the event of a local alarm condition (when a fire detector within the flat or apartment has triggered), the Hush Button’s local sounder circuit will activate and any output devices connected to it will sound. The local alarm sounders will sound for a period of two minutes. If the local alarm clears within these two minutes, the Hush Button will return to its normal state. 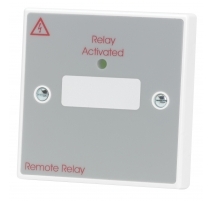 If the local alarm is still present after two minutes, the alarm will be signalled to the host addressable fire panel and a general alarm condition will be annunciated around the building as programmed. within these two minutes, the Hush Button will return to its normal state. 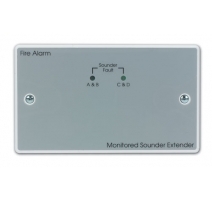 If the alarm doesn’t clear, 15 seconds before the hushed period is about to expire, a beeper will sound to inform the occupant that the alarm is about to be signalled to the host fire panel. If the ‘Hush’ button is pressed again during this 15 second period, another two minute hushed period will commence. detectors will be detected (however a manual call point with a suitable resistor, less than 400 ohms, will trigger a full alarm if activated). If the ‘Hush’ button is pressed again during this 15 minute period, power is re-applied to the local zone allowing normal signal processing to resume. 15 seconds before the 15 minute hushed period is about to expire, a beeper will sound to inform the occupant that the local zone is about to be re-powered. If the ‘Hush’ button is pressed again during this 15 second period, another 15 minute hushed period will commence. 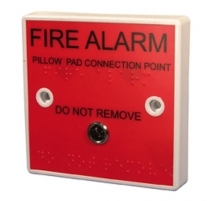 If a manual call point is connected to the Hush Button’s detector circuit, provided its resistance when operated is less than 400 ohms, its operation will immediately trigger the Hush Button’s sounder circuit and signal a general alarm condition to the host fire panel.